Dr. Arnett and Dr. Gunson have published extensively on facial cosmetics, dentofacial treatment planning, TMJ health and goals of treatment. Michael J. Gunson, DDS, MD and G. William Arnett DDS, FACD. Treating severe condylar resorption patients with orthognathic surgery and tumor necrosis factor alpha inhibitors. IJOMS, October 2011; 40(10):1087. G. William Arnett, DDS, FACD and Michael J. Gunson DDS, MD. Management of condylar resorption before, during, and after orthognathic surgery. IJOMS, October 2011; 40(10):1021. Michael J. Gunson, DDS, MD and G. William Arnett, DDS, FACD, Condylar Resorption, Matrix Metalloproteinases, and Tetracyclines, RWISO Journal, September 2010; Vol. 2, No. 1: 37-44. In Bell-Guerrero, Distraction Osteogenesis of the Facial Skeleton. B.C. Decker Inc. 2007;1: 1-10. Arnett. GW, Gunson, MJ. Facial Analysis: The Key to Successful Dental Treatment Planning.The Journal of Cosmetic Dentistry Volume 21, No.3, Fall 2005; 20-33. Arnett GW, Gunson MJ, McLaughlin RP. “The Essence of Beauty” American Association of Orthodontists. 2004, December. Arnett GW, McLaughlin RP. Facial and Dental Planning for Orthodontists and Oral Surgeons. Mosby, An imprint of Elsevier Limited. 2004, Elsevier Limited. Arnett GW, McLaughlin RP. Planificación facial y dental para orthodoncistas y circujanos orales (Facial and Dental Planning for Orthodontists and Oral Surgeons) © 2004 Elsevier Limited an Elsevier Imprint © Edición en español, Elsevier España. Arnett GW, Jelic JS, Kim J, Cummings D, Beress A, Worley CM, Chung BD and Bergman R. Analisis cefalometrico de trejidos blandos: diagnostico y plan de tratamiento de las deformidades dentofaciales. Revista Chilena De Ortodoncia Vol. XIX No 1 Enero-Junio 2002;7-19. Arnett GW, Jelic JS, Kim J, Cummings D, Beress A, Worley CM, Chung BD and Bergman R. Soft-tissue cephalometric analysis: Diagnosis and treatment planning of facial deformity. Straight Wire Brasil de Ortodontia Journal, Revista No 16 set-out-Nov-Dec 2001;10-26. Arnett GW, Kreashko RG, Jelic JS. Kephalometric Analyse der Weichgewebe: Diagnose und Behandlung vertikaler Abweichungen. Informationen Aus Orthodontie & Kieferorthopadie. 30.Jahrgang 1998, Nr. 2 (pages 559-571). Arnett GW, Jelic JS, Kreashko RG. Exame Cefalométrico do Tecido Mole: Diagnóstico e Tratamento da Face Verticalmente Alterada. Straight Wire Brasil de Ortodontia Journal, Revista Vol XII – No 12 edicão especial (pages 5-18). Arnett GW, Jelic JS, Kreashko RG. Soft tissue cephalometric analysis: Diagnosis and treatment of the vertically altered face. The Associated Orthodontic Journals of Europe 1998. Arnett GW, Milam SB, Gottesman L, Worley CM. Morphologic changes of the temporomandibular joint associated with orthognathic surgery – chapter in Fonsecca book 1998. Arnett GW, Turley P. Goal directed orthodontic care: mandibular retrusion versus maxillary excess – orthodontic preparation for surgery. In progress. Arnett GW, Turley P. Goal directed orthodontic care: nonsurgical versus surgical correction of class II malocclusion associated with mandibular deficiency. In progress. Arnett GW, Wahl R, Polyakov V. Anterior openbite closure – stability or relapse? In progress. Arnett GW, Milam S. The unfavorable long-term result in orthognathic surgery II: injury to the temporomandibular joint and trigeminal nerve. In: Kaban, Pogrel, Perrott, eds. 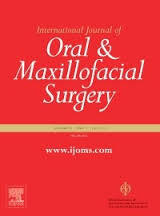 Complications in Oral and Maxillofacial Surgery. Philadelphia: WB Saunders Co, 1997:265-277. Arnett GW, Milam SB, Gottesman L. Retrusão Mandibular Progressiva – Reabsorcão Condilar Idiopática. Parte II. Revista Dental Press de Ortodontia e Ortopedia Maxilar Vol 2 – No 4 Julho/Agosto 1997. Arnett GW, Milam SB, Gottesman L. Retrusão Mandibular Progressiva – Reabsorcão Condilar Idiopática. Parte I. Revista Dental Press de Ortodontia e Ortopedia Maxilar Vol 2 – No 3 Maio/Junho 1997. Arnett GW, Milam SB and Gottesman L. Progressive condylar resorption: host adaptive capacity factors. Am J Orthod Dentofac Orthop Nov. 1995. Arnett GW. A redefinition of bilateral sagittal osteotomy (BSO) advancement relapse. Retention and Long-Term Stability/8th International Conference for Orthodontists. Ernst Hosl; Anton Baldaug: Huthig, 1993 pages 161-171. Arnett GW, Bergman RT. Das Gesicht als Schlussel der kieferorthopadischen Diagnose und Behandlungsplanung. Teil II. Orthodontie und Kieferorthopadie. Jahrgang 25, 1993. Arnett GW, Bergman, RT. Chaves Facial Para O Diagnóstico E Plano De Tratamento Ortodonticos. Parte 1. Straight Wire Brasil de Ortodôntia Journal, Revista Dezembro/Janeiro/Fevereiro/Marco – 96 Volume VIII No 08 (pages 23-34). Arnett GW, Bergman RT. Das Gesicht als Schlussel der kieferorthopadischen Diagnose und Behandlungsplanung. Teil I. Orthodontie und Kieferorthopadie. Jahrgang 25, 1993. Arnett GW, Tamborello JA, Rathbone JA. Temporomandibular joint ramifications of orthognathic surgery. In Bell WH, ed. Modern Practice in Orthognathic and Reconstructive Surgery. Philadelphia: WB Saunders Co 1992;1:522-593. Arnett GW, Tamborello JA. Progressive class II development – female idiopathic condylar resorption. In West RA, ed. 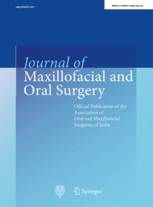 Oral and Maxillofacial Surgery Clinics of North America – Orthognathic Surgery. Philadelphia: WB Saunders Co 1990;2(4)699-716. Arnett GW, Tamborello JA. TMJ dysfunction from transorally placed lag screws: fact or fiction? Journal of Oral and Maxillofacial Surgery 1988; 46(7):625. Arnett GW, Tamborello JA. Condylar movement during intermaxillary fixation sagittal osteotomy. Clinical Congress on Orthognathic Challenges: Predictability, Stability and Complications. AAO/AAOMS Clinical Congress Scientific Abstract Session 1986. G. William Arnett, DDS, FACD and Michael J Gunson, DDS, MD have a long legacy of performing, innovating and teaching orthognathic surgery. For over 40 years we have treated patients in Santa Barbara from all over the world.